Singapore has the perfect weather for growing your own plants. If you want to add a bit of nature to your indoor space (whether it’s your bedroom, office, or kitchen) you don’t have to shell out money to buy a new flower pot or planter. Chances are, you already have the perfect planter lying around, and all you need is just a bit of DIY magic. Here are a few ideas to help you find your next planter. Planters are basically just containers with holes. And what’s a colander if not a container with holes? 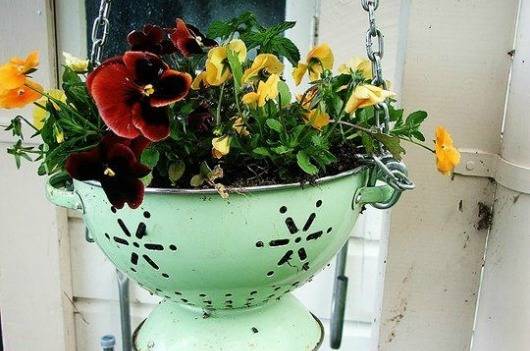 If you have a colander that’s just lying around the house, unused, it may be a good idea to upcycle it and turn it into a planter. Spruce up your colander planters by painting them with bright colors, add soil and seeds, then let the plant do its magic. If you find yourself falling in love with the ideas of colanders as planters, you can include other appliances in your garden. Other kitchen items you could use as planters include kettles, pitchers, and even old rice cookers. 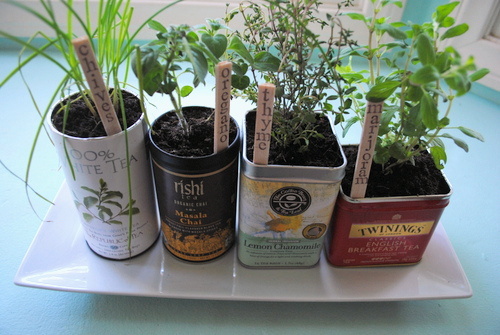 Tea Tins make the perfect planters for that vintage, rustic look. Chances are, you already have a few of them lying around the house. Simply drill a few holes at the bottom, add some soil, then some seeds, and you’re good to go. You can also use other tin cans you have lying around your house, like cans of sardines, peas, and soup. Just make sure to check for any sharp edges that your tin may have, and sand them off if there are any. 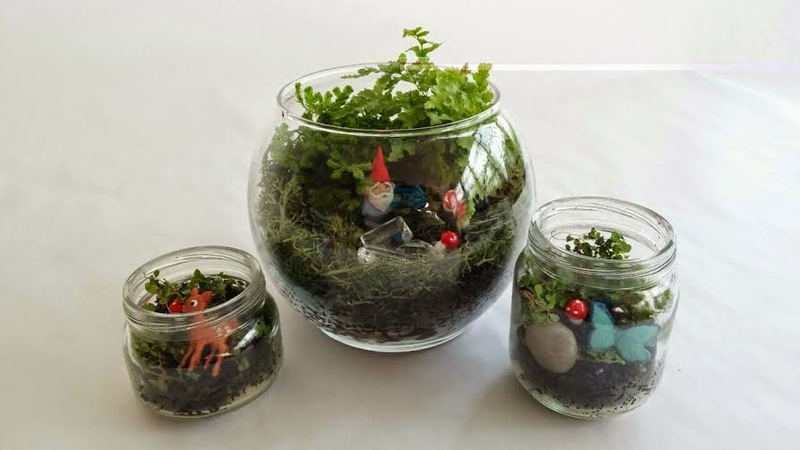 Baby Jars are already perfect for planters just as they are, but you could spruce them up with a bit of DIY to create a mini-garden. You can use jars of any size, and using clamps and screws, secure them on a piece of wood. Then, you can hang the wood on a wall or any flat surface for a rustic and charming wall décor. You can even opt to do away with drainage holes and use plants that don’t need soil (simply fill the jars with water) or plants that don’t need a lot of water (like succulents). Just remember to use the right kind of soil mix to avoid flooding the bottom of the jar. To create this project, mark where the food jars would go on the wood. Then place a clamp, and drill the clamp into the wood with screws. Then place the jars into each clamp, and tighten the clamps around the jars. Then with a hook and a piece of string (that is strong enough to hold the wood and jars) hand the wooden board onto a hook.